After a successful summer, Wayne Weiseman, Permaculture Expert and Director, The Permaculture Project, returns to China on 29 November for three weeks to deliver a series of Permaculture courses. During this trip Wayne will recruit a highly skilled and experienced designer to assist in completing the preliminary design for Eco-Village Dingjiaping, in Hunan. A group of up to 10 students can join the Hunan expedition. The Winter Series of activities is a collaboration between Rainbow of Hope, Urban-Rural Bridge (UrB) and The Permaculture Project, with the aim to provide topical, hands-on, focused lectures and workshops for beginners with no background on the subject, but also those with prior knowledge. Permaculture is not just for farmers and gardeners, nor is it only for designers or relegated to the realm of plants and animals. Permaculture principles are applicable in all fields and provide insights to help us in many aspects of our lives and work. The ethics and goals of Permaculture are universal. Are you an urban farmer, Slow Food enthusiast, organic farmer, designer, entrepreneur, or student? Events in this category serve as an introduction to Permaculture design concepts and approaches, its major components and objectives in Permaculture Design. Individuals who successfully complete this PDC gain a basic understanding of design and development principles involved with large scale and small scale intensive Permaculture applications. How does one begin designing something as complex as a village that must produce no waste, and be basically self-reliant in providing building materials, food, water, energy, medicine and more? What if you are starting from nothing on the ground and you have to consider land use designation, infrastructure, vehicle and pedestrian access and multiple homestead typologies? This course involves walking the site and learning to identify resources, micro-climates, key components, challenges and opportunities while engaging local stakeholders to determine the main objectives, requirements and expectations of the local land owners. The workshops will cover integrated forest gardening, mushroom cultivation, urban farming with aquaponics, biodynamic farming, composting, whole house farming and more. Engaging hands-on solutions and connecting with community is the key to inspiration and scaling ecologically sound, economically viable solutions. We start small and build on each success. Fermentation is a microbial transformation in which sugars are converted into acids, gases, and sometimes alcohol, transforming foods into a more preserved state and giving them complex, unique flavors. Microbe-rich fermented foods and drinks offer a healthy alternative to the more widely available processed and preserved foods sold today. All the above classes are part of our ongoing global regeneration initiative based in Shanghai. Rainbow of Hope and friends are developing standalone educational modules to make Permaculture knowledge and concepts accessible to more people. We aim to proliferate the language of Permaculture as a tool to empower traditional Chinese farmers that intuitively understand and use many of the concepts daily. Your course fees support our efforts to achieve this goal! The first event, an introductory session to Permaculture, kicks off in naked Hub Hunan Road on 20th November, 2018, where Philip Lohrmann will be sharing the general concepts and applications of Permaculture. For a complete list of activities visit www.rainbowofhope.cn/permaculture-training or signup at this link. Wayne Weiseman is a permaculture teacher, designer, consultant and author. He lives in Carbondale, Illinois with his wife, Frances and daughter, Halima. 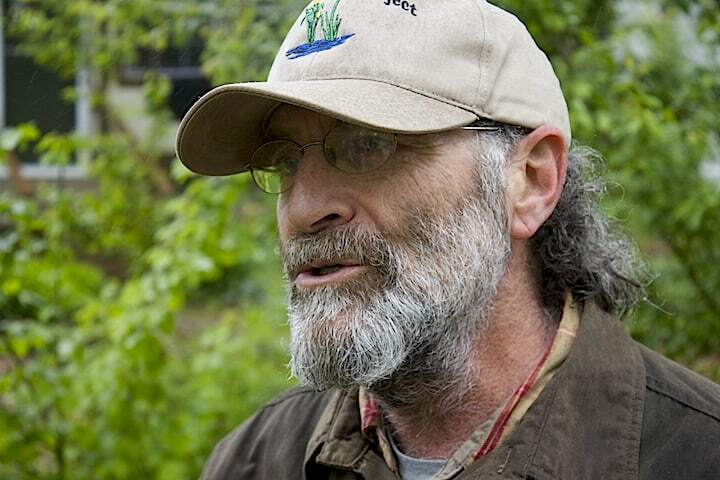 He was certified to teach permaculture by Bill Mollison, the founder of permaculture, in 1999. Wayne has taught hundreds of Permaculture Design Courses around the world. He has served as a consultant and lecturer to educators, school administrators, business leaders, and others internationally. For 15 years Wayne managed a land-based, self-reliant community project combining organic crop/food production, ecologically-built shelter, renewable energy and appropriate technologies. Wayne is a co-author of an authoritative book on integrated forest gardening and plant guilds that was published in August, 2014. To learn more about Wayne visit this link.